I looked for an introductions section, couldn't find it so hopefully this isn't a faux paus on my first post. 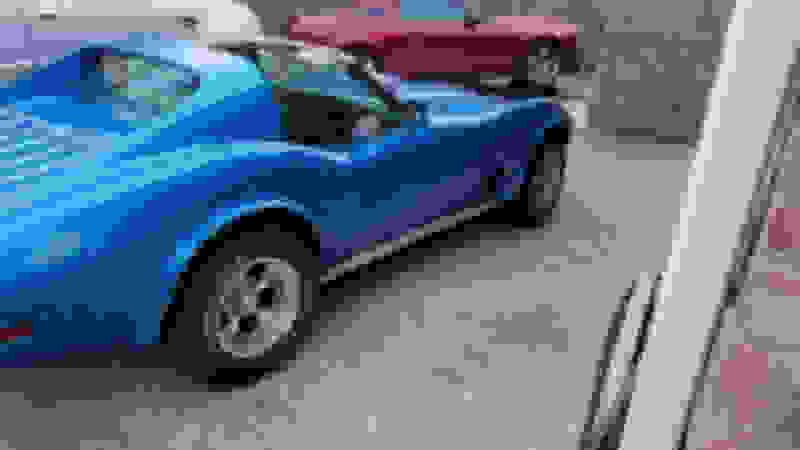 Anyway, I've had, and rebuilt cars all my life, but have only recently gotten into the Corvette club. 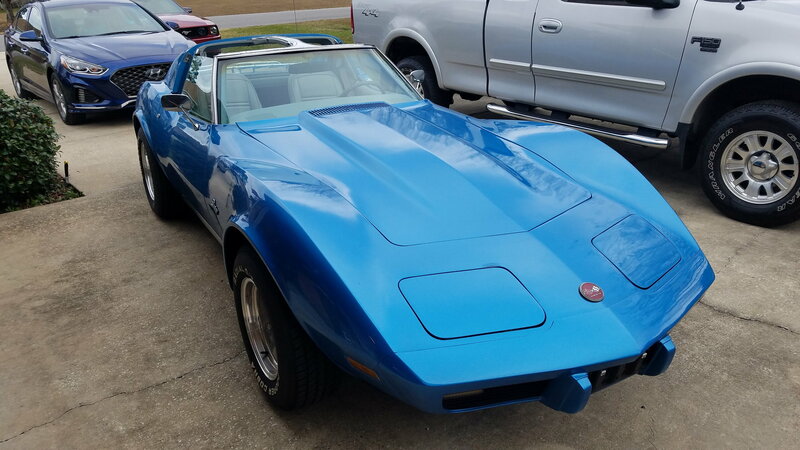 I recently found a sweetie, she's a 1976 StingRay in gorgeous condition. The guy selling it had just put over 10grand into the car to take him and his wife into the Cruisin the Coast car show, which is basically a rolling car show. Being a 2 seater with not much room for anything, they wanted to get a car that would accomodate their kids - so their loss is definitely my gain. 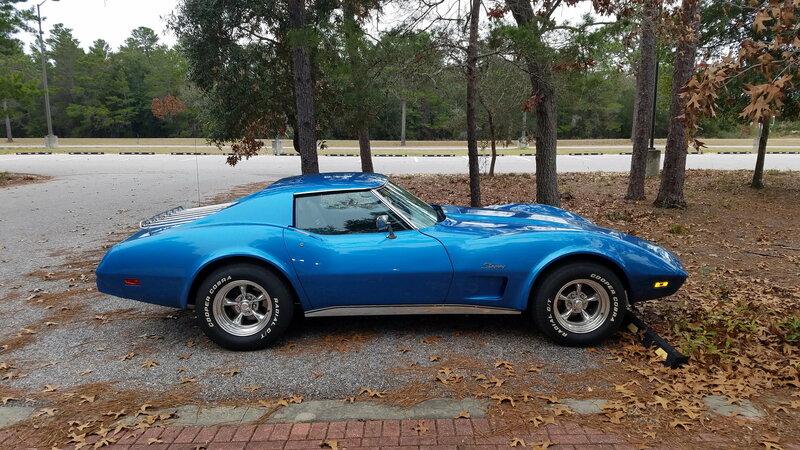 I looked at over 20 mid-70's cars before choosing this one. I've worked on many 'Vettes, by bud in Colorado has about 5-7 of them at any given time, lol. I know, he built a garage for all his 'Vettes. Anyway, this is the 3rd time in my life I've actively looked for one, but frustration over cars that are rustbuckets, complete rebuild projects, all with Barret-Jackson prices on them so I've given up twice before. Anyway, I live in the panhandle of Florida, looking to hook up with other C3 owners, or share information as I learn more about them too. 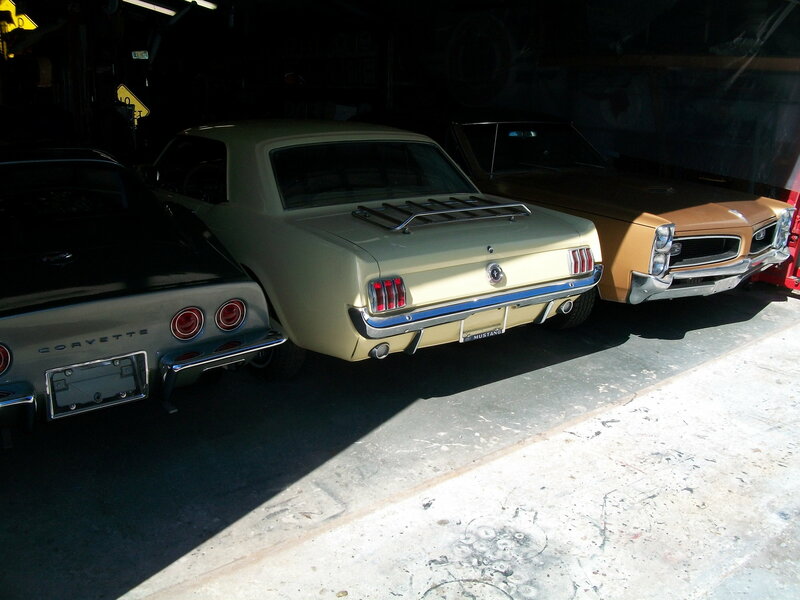 BTW, I also own several Mustangs, one of them being a 66 Fastback. I know, Mustangers and Corvetters don't seem to mix, but I like the cars, and that's all I can say! Welcome to the forum. Glad you found a nice car that may help you get over the Mustang thing. (Just kidding). It is helpful if you post pictures of your car for others to enjoy. You will find a lot of answers to your Corvette questions on this forum. Best wishes. welcome, Nutsy you came to the right place, great people on here that are VERY knowledgable and helpful. Last edited by nutsy; 01-27-2019 at 07:44 AM. Oldgto, you are my hero! I have visions of a 70 Chevelle in my garage also, LOL. I'll post some pics of my girl sometime today. Here she is. And, btw, I'm in Navarre, FL. B/t Pensacola and Ft Walton Beach. 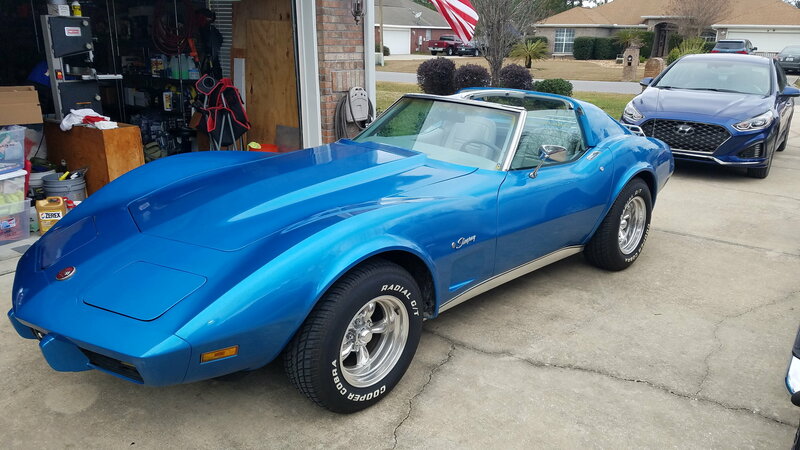 beautiful vette DH and your lucky you can drive it now. I bought my current 71 at the beginning of the winter here In NE PA. and can only look at it. Great looking Corvette! A wealth of info here and good people, as you've already seen in the many responses. Welcome! Very nice combination on the Vette. A beautiful vehicle indeed. There is a treasure chest of information available here from the archives (search function). Our members are more than willing to contribute their experiences and tips as well. Welcome to our happy home and happy motoring to you. Nice ride, nice color, and have fun! It came with the original wheels, in the boxes that the American Racing rims (on the car) came in. I might get a second set of tires mounted on the originals after I freshen them up, just for a car show or whatever. I love shiny, 5 spoke rims so I like the look as is.... but will always love the original look of a classic also. I like it, love the color. Great looking car! Love the wheels. Welcome to the forum. Welcome to the forum! Nice Corvette you have there...don't forget to wave! Sorry, don't forget to wave? At other owners on the road. Quick Reply: New to the forum!